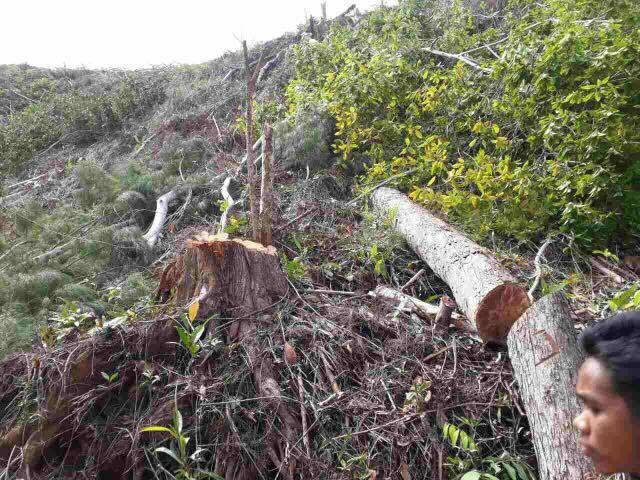 A mining firm felled thousands of trees in Brooke's Point town in Palawan province just days after former Environment Secretary Gina Lopez was rejected by the Commission on Appointments, a local official confirmed. The clearing covered more than 10 hectares of old growth forests in the town. "I don't have the exact figure but those were thousands of trees. They cut down big and small trees alike. Some of those were probably centuries old." Brooke's Point Mayor Jean Feliciano said in a phone interview. Feliciano said the trees were located in a protected area of Mount Mantalingajan, which also serves as a watershed that supplies potable water to 5 villages. The mining firm in question was identified as Ipilan Nickel Corporation, affiliate of Global Ferronickel Holdings, Inc. The company was granted a tree cutting permit in May 2016 but was cancelled in December. The company was among the mining firms that Lopez had ordered closed. Their ECC had already been canceled when they conducted the cutting operation. They don’t even have mayor’s and business permits,” Feliciano said. The provincial government is preparing to file illegal logging charges against the company and its officers. 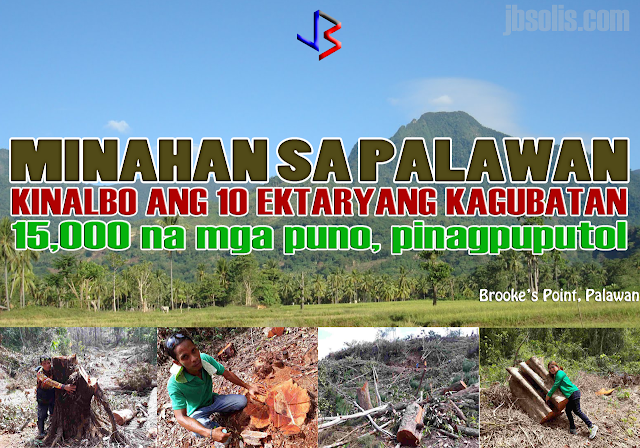 The Palawan government had previously filed charges against eight Ipilan Mining Corp. personnel involved in the tree cutting for violation of Republic Act No. 9175 (Chainsaw Act of 2002). They were able to arrest the eight chainsaw-wielding miners who mowed down the area but their companions had fled. The mining firm has since barred local officials, policemen and environment officials from entering the area. The town's mayor had to bring with her marines because the local police are afraid from threats of lawsuits filed against them. Lopez, for her part, took to social media to vent out her disdain over the "massacre" of the town's trees. Lawmakers earlier this month rejected the appointment of Lopez, who cracked down on alleged unsafe mining practices during her 10 months in office. 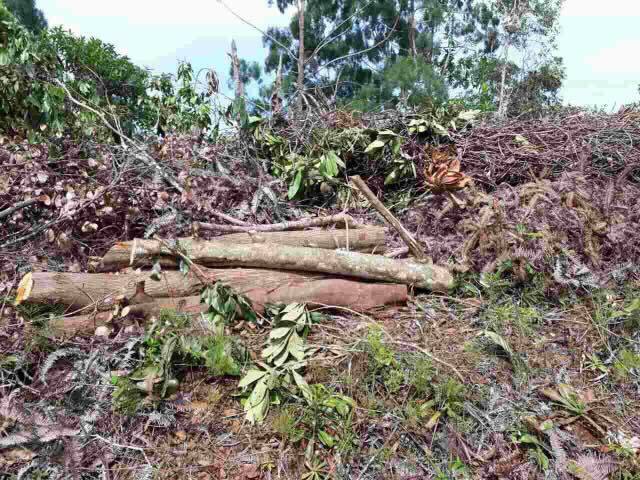 She posted images of the aftermath on her Facebook account, showing the remnants of the cut down trees, including some timber that were left after the mining personnel fled from the scene. 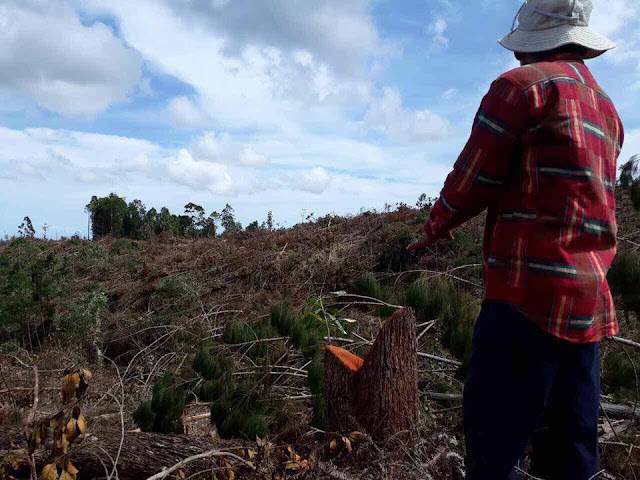 Her successor, Roy Cimatu, promised to investigate the logging activities in Brooke's Point. "I will immediately convene my staff and look into this immediately," Cimatu said in a separate interview. Global Ferronickel has issued a statement denying that its affiliate Ipilan Nickel, lacked the necessary special tree cutting permits and noted that the cancellation of the permit is still subject of a pending motion for reconsideration. 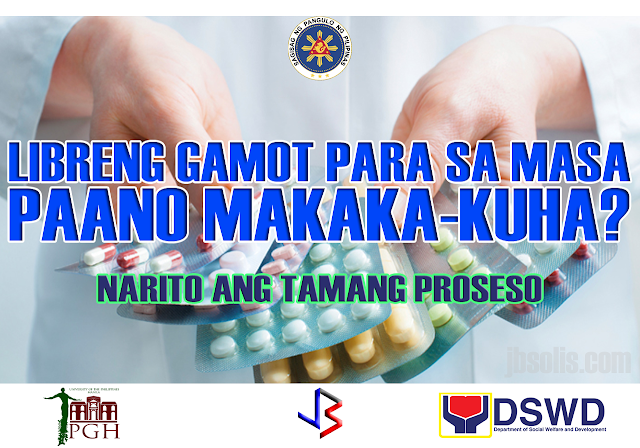 added that the company also has an outstanding SEP (Strategic Environment Plan) clearance issued by the Palawan Council for Sustainable Development and a Mineral Production Sharing Agreement with the government. Provincial officials sought on Wednesday the cancellation of the company’s SEP Permit from the provincial regulatory body.